People have many misconceptions about the best ways to care for their landscape, particularly when it comes to the trees on their property. You have probably heard all kinds of theories and approaches you should take about the proper way to care for the trees on your property, and you have heard these things so often that you just assume they are true. 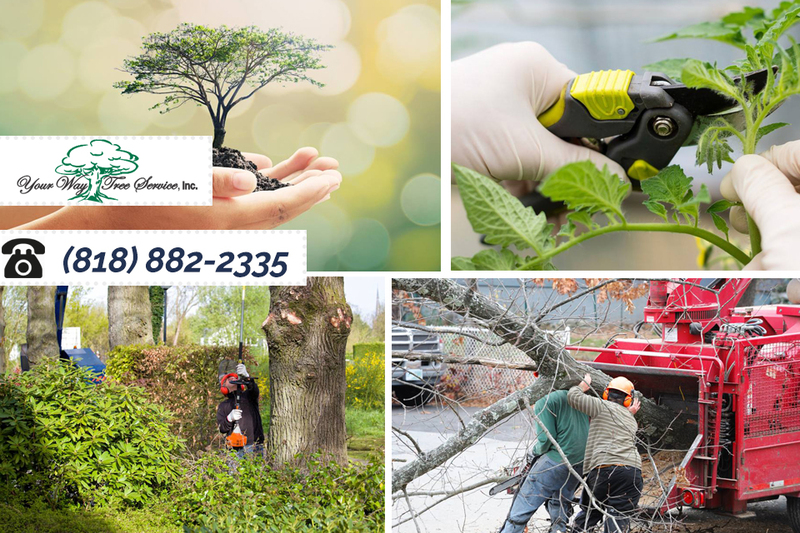 Here at Your Way Tree Service, Inc., we regularly answer questions involving the “myths” and facts regarding tree services. You want to understand the truth about tree trimming in Van Nuys, so you know why it is an important component in caring for your landscape. While it is true that your trees will continue to grow without any input or care from you, it is not true that they will grow safely and properly without a little help. The trees growing on your property have different needs than trees that are growing freely in a forest somewhere. They have different atmospheric conditions to deal with, pests and pollutants in the air and other factors on your property that can affect their growth. Proper care and pruning is the only way to ensure that areas of the tree continue to grow safely and maintain good health. Many people take the approach that they can handle the care of their trees on their own without professional help. The problem is that if you want safe tree trimming in Van Nuys that maintains the proper health of your trees unless you have insight, knowledge, and experience with this work you may not perform it correctly and can put yourself and your home at risk. Even small trees can suffer damage with improper trimming, so you are much better off calling professionals to come in and do the job for you in a quicker amount of time, so the job is done right without any potential hazardous issues. The truth about tree trimming in Van Nuys is that when you hire us at Your Way Tree Service, Inc., you will get quality, professional work done that takes the best care of your trees. You can arrange for an evaluation of your trees when you call our office at 818-882-2335 so that we can come out to your property, check your trees over, and supply you with a quote for the work needed so you can see the job we can do for you at a reasonable rate.